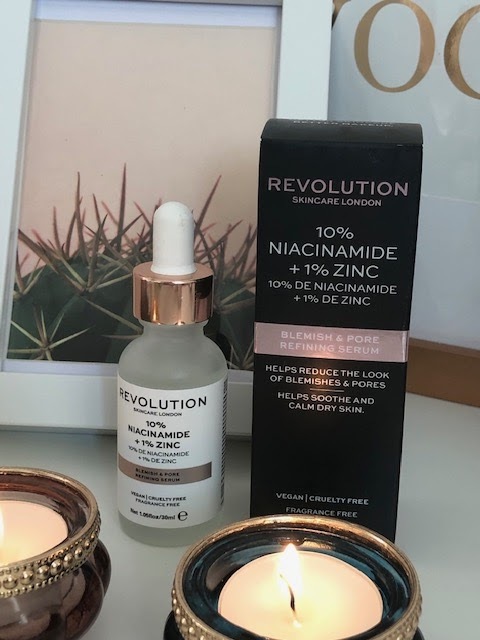 for quite a while now I have been trying out Makeup Revolution Skincare, there are a lot of products in the range so some of my thoughts will be more in depth than others which will be first impressions. Firstly let me start by saying my initial thoughts when I first saw this were of Deciem and the Ordinary range, I don't say that in a bad way and in fact for me personally it came at the perfect time. Any of you that saw the struggle Brandon Truaxe went through before his untimely death will maybe understand where I am at with this. It literally broke my heart to see such a genius man suffer and lose his brand, I vowed that I would never buy a Deciem product again no matter how much I had loved them. He was always kind and polite to me on a personal level and as such had my utmost sympathy. Moving on!!! 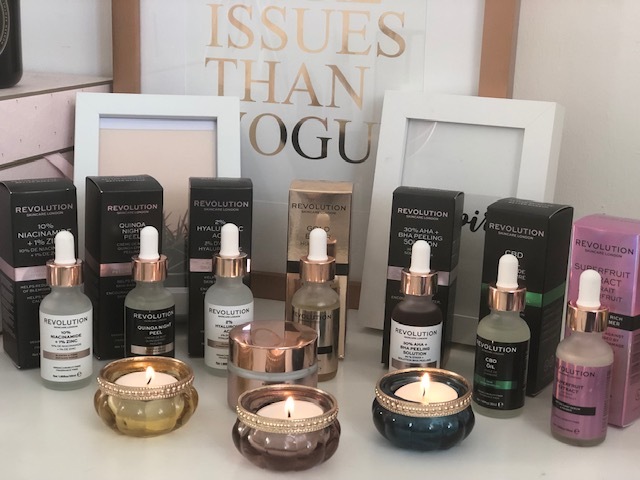 to what we are actually here for - Makeup Revolution Skincare. I want to say that this has been my favourite product so far, if not it is right at the top, the clear serum is applied to clean skin at night and left to work it's magic overnight, and actually magic it is. For best results, use in the evening before serum or moisturiser. 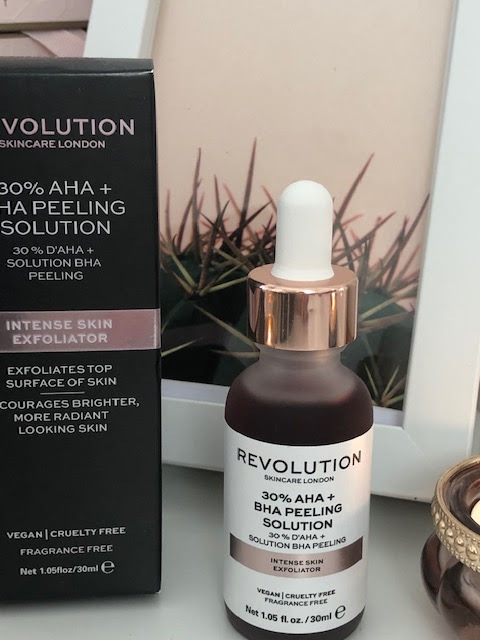 Don't be put off by the word "peeling" you wont wake up and find your face on the pillow but you will wake up to incredibly soft fresh skin that looks as though you have just had a facial in a salon - I love it! Now this is where peeling gets a little more serious, the serum is NOT to be used on sensitive or damaged skin. Leave on for no more than 10 minutes. Do not use with any other skincare product containing AHA, BHA or retinol. Don't be alarmed by the red colour of the serum, this intense exfoliator will literally munch away at your dead skin cells leaving you pink and glowing, the pinkness won't last but the glow certainly will. This blemish and pore refining serum is designed to ease skin congestion, tackle oily skin and ease blemishes. I have not personally tested this out on blemishes as I have normal/dry skin. Apply a few drops to clean, dry skin. 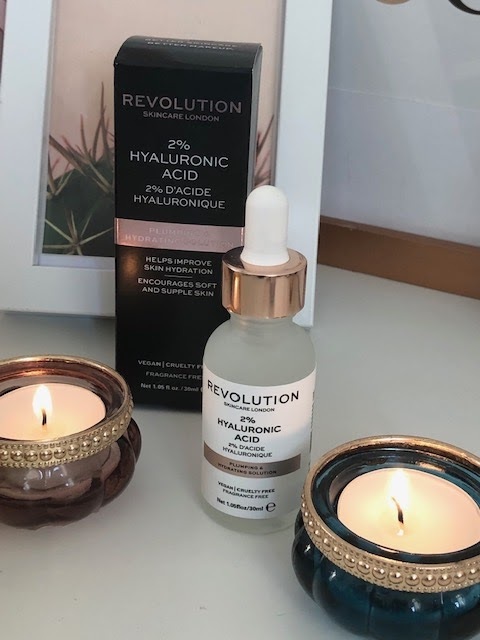 Another massive hit with me as I swear by Hyaluronic Acid for plumping and hydrating. This serum really does what it claims, my skin looked plumper and fresher and actually improved with regular use. Apply a few drops to clean skin in the morning or evening. THIS! 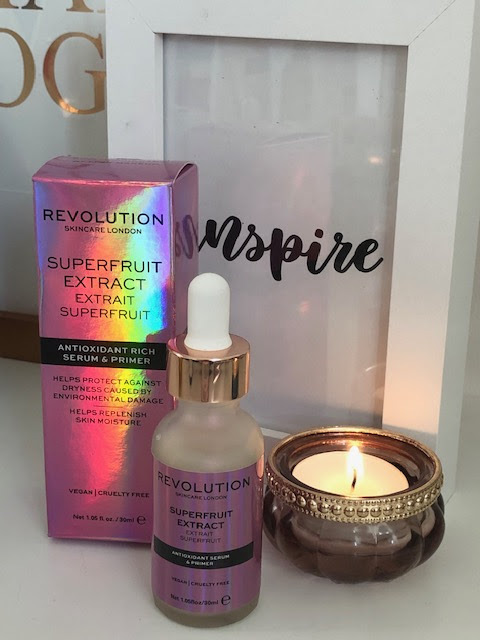 oh my lord I love this, the coconut fragrance and the mother of pearl look serum literally sinks into your skin giving an added boost of moisture, this dual purpose serum can also be used as a primer under makeup which is actually my favourite as the pearl like liquid gives a lit from within glow to the skin and gives the perfect base for foundation. Apply 2-3 drops onto clean skin in the morning. Use before any water-based serums or moisturisers. To use as a primer, apply 1-2 drops before makeup. 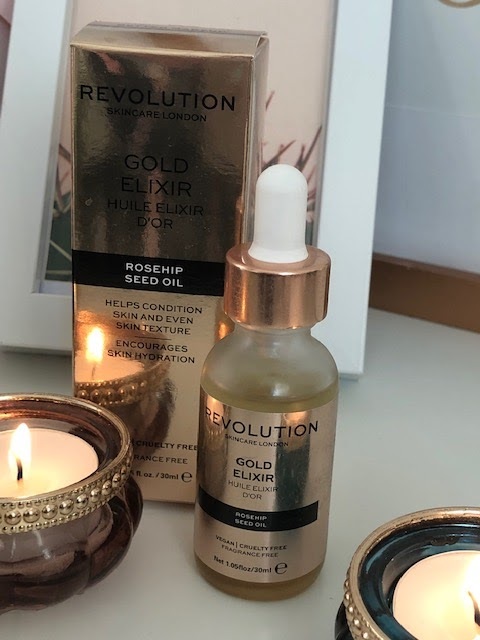 This Rosehip Seed Oil is literally filled with tiny gold shimmering particles to give you a subtle yet golden glow, although it's an oil it's not extremely greasy and massages in quite well, if you have dry skin it will drink this Gold Elixir up and thank you, for super dry skin this can also be added to your usual foundation. It leaves the skin feeling both soft and supple. Massage a few drops into skin before makeup or after any water-based serums. Use alone or mixed with foundation for a dewy finish. 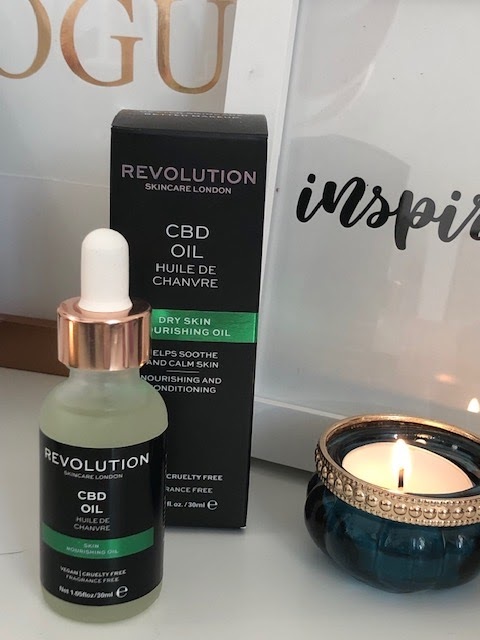 There has been a huge amount of chatter in the beauty world of late regarding CBD Oil, Cannabidiol extracted from the Cannabis plant, I have seen huge results when using it and am a bit of a fan, this oil nourishes the skin and somehow manages to make it look more relaxed, I personally don't think it chills your face out like the drug BUT it does seem to have some sort of effect on the skin in a totally good way. You are not getting high from this! It has amazingly impressive soothing properties so if you suffer from ultra dry or sensitive skin this will be your answer. Massage a few drops into the skin. Vegan, Fragrance & Cruelty Free. 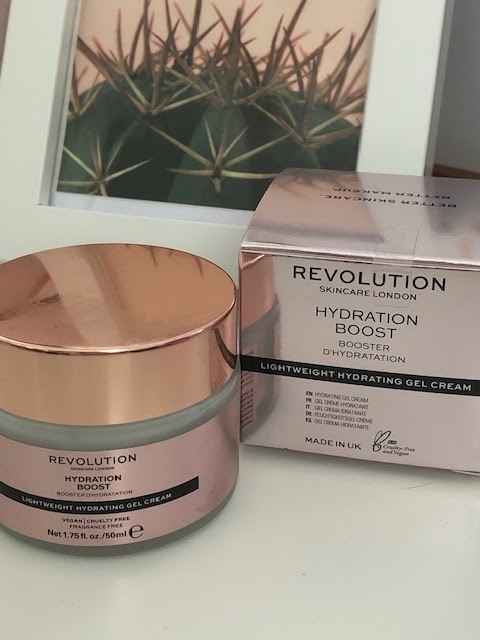 This jar of gel like cream is an absolute dream it absorbs easily, has a water like feel to it when you apply it to your face so you feel as though you are giving your skin a huge drink, one of the best things I found with this is that the moisture lasts as though it's locked in, probably due to the Hyaluronic acid content. Even when you get to the late afternoon, early evening tiredness slump your skin still looks good and is bouncy to the touch. Massage a small amount into the skin morning or evening. Apply after water-based serums but before oil-based serums. 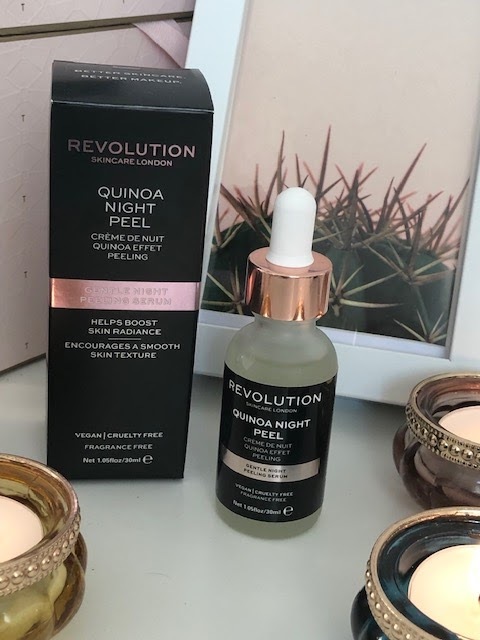 Overall I am seriously impressed with this range, the price as always with Revolution is a crazy bargain which makes it affordable for all budgets, but low price is not an indication of low quality, I am particularly in love with Quinoa Night Peel, Skincare Hydration Boost & Superfruit Extract. To be fair you could buy yourself half a dozen of these for the price of one average pot of cream. With 15 items in the range I have more to try so watch this space!